My name is Mandy Oosterhagen and I live in the eastern/ center part of the Netherlands in Arnhem together with my two Finnish Lapphunds Shufai and Amira. In 2010 I imported my first Finnish Lapphund from Finland from the Kennel Pakkaskukon (Maria Lindstrom). We went for the only boy in the litter, called Pakkasukon Boris, Nowadays called Shufai. Shufai is a very stable and tolerant male and has a very open en enthousiatic character and likes to cuddle.. 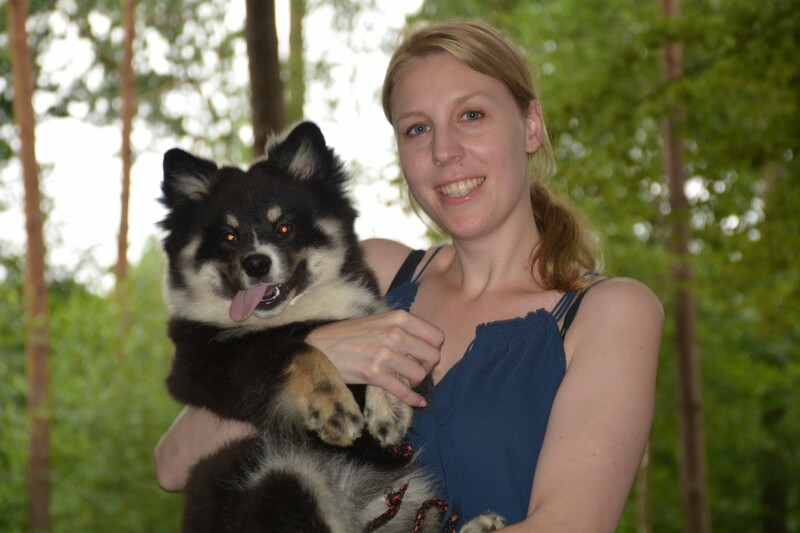 In 2016 I imported another Finnish Lapphund from Norway from the Kennel Born to Rule(Jonna Almenas) This time I decided to import a female, this is even more special because she is a daughter of Shufai . Amira is a incredible sweet girl who likes to explore and loves children. In 2014 we imported another breed from Germany, the Hovawart. Aike who will also belong to our kennel is now a three year old lady, who is incredible sweet, warm en open minded she loves to play with Shufai and Amira. Aike lives at my mothers house. But we reguarly go on walks together and have play dates. I am very proud that I am the owner of Shufai and Amira and also very pleased with Aike, as all have amazing personalities and bring a lot of happyness to the family.